Don't have to be a genius to understand who is behind Macron (and what he is like as a candidate). The day before the election, "Unknowns" posted a Macronleaks (letters from his pre-election headquarters). Are they genuine? The headquarters of the Macron confirm the hacker attack. Much more interesting who did this. [and from another] http://www.vesti.ru/doc.html?id=2885464&2885464 Macrongeit: hackers have unearthed offshore accounts of Macron and the substance on the "c". [and from another] https://twitter.com/wikileaks/status/860638153471918081 We have not yet discovered fakes in #MacronLeaks & we are very skeptical that the Macron campaign is faster than us. 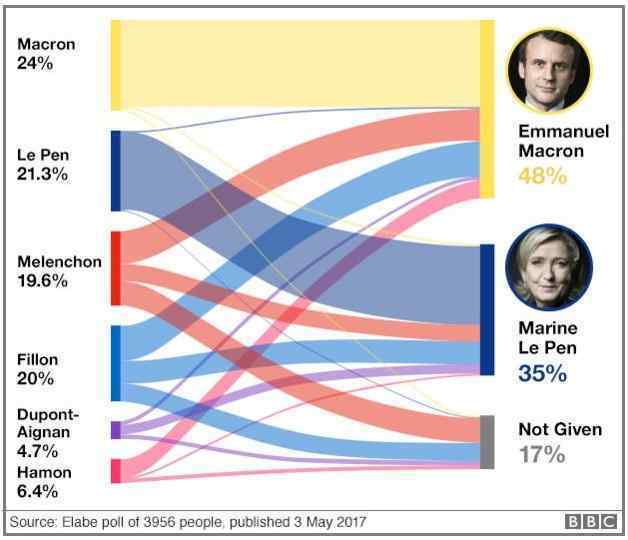 [and from another] https://twitter.com/hashtag/MacronLeaks?src=hash [and from another] http://www.independent.co.uk/news/world/europe/emmanuel-macron-email-hack-leaks-election-marine-le-pen-russia-media-ordered-not-publish-commission-a7721111.html France's electoral commission has ordered media not to publish contents of Emmanuel Macron's leaked campaign emails to avoid influencing the election. It warned news outlets in France that journalists could face criminal charges for publishing or republishing the material, under laws that came into effect at midnight forbidding any commentary liable to affect the presidential race. As much as 9GB gigabytes of data were posted on a profile called EMLEAKS to an anonymous document sharing site under two days before the final vote. While French election rules forbid the media from publishing the emails, they also ban Mr Macron or his team from commenting on or denying any allegations. Any comments on this display? If it was more than just "Here we are, look at us", what were they doing? [and from another] https://youtu.be/HQHYGR5TJUM Tulsa Oklahoma.? Gnats. I f/b messaged the guy. His name is Darren Stephen. He said it was gnats. [and from another] https://www.reddit.com/r/aliens/comments/68451a/waterbased_ufos_26417/ Those crafts are using the extra generated energy (charged particles) that is stored in the clouds and somehow creating a low voltage point to draw in the energy, that's why you see these "thruster" like effects which infact are arching electricity. 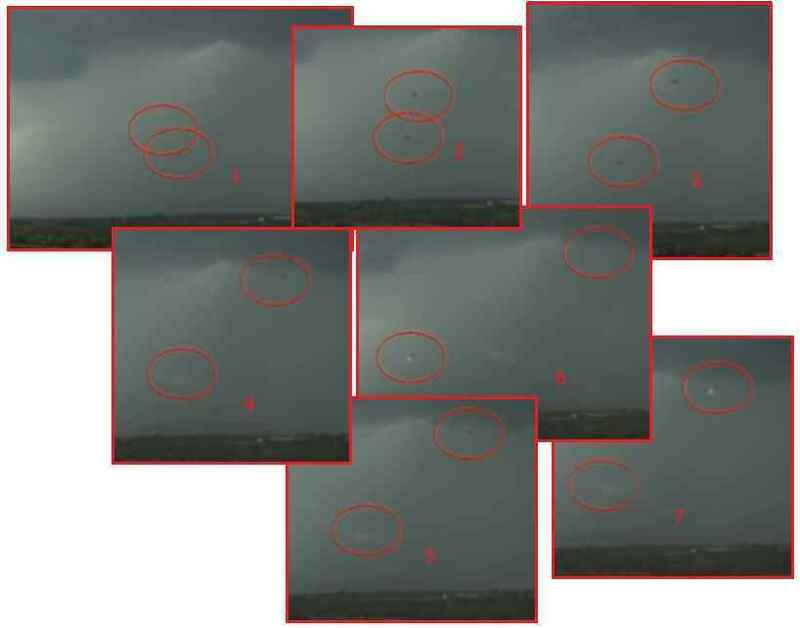 [and from another] https://www.reddit.com/r/UFOs/comments/67pnur/stormchaser_ufos/ We get tons of lightning (firefly) bugs during warm afternoons/evenings. But it was a chilly day today across Oklahoma. I know here in OKC was mid 50's and I'd assume the same for Stillwater. Don't know how that/or if it messes with fireflys but just wanted to point that out. If it was bugs, the part emitting the light would have been dark in contrast to the background when it wasn't lighting up. In this case it's the space behind the objects lighting up in a flare. The "flare"/thrust component is certainly a little hard to explain and how fast one of the object zooms off. [and from another] https://www.universetoday.com/75695/how-do-tornadoes-form/ The cold air drops as the warm air rises. The warm air eventually twists into a spiral and forms the funnel cloud that we all associate with a tornado. The moving UFOs captured on this weather cam are not gnats or fireflies, despite the association with a lighted cloud area near the dark dot on occasion. Note that the light area lingers, where a firefly would only record a momentary blink of light on the camera. Nor is the lit area showing, as some theorized, a UFO thrust, as though a propellant were the power source. The lit area falls behind the moving UFO as the UFO has changed the cloud composition there. As was noted in October, 2016 when UFOs were captured breaking up chemtrails, a UFO can change the composition of a cloud. What are the dynamics in place just prior to a tornado funnel cloud? Temperature differences, with colder (heavier) air above a warm (less dense) air layer. The cold air drops creating a void for the light air to rise. As all rapidly moving water or air masses do on the face of the globe, this rising air starts to rotate. 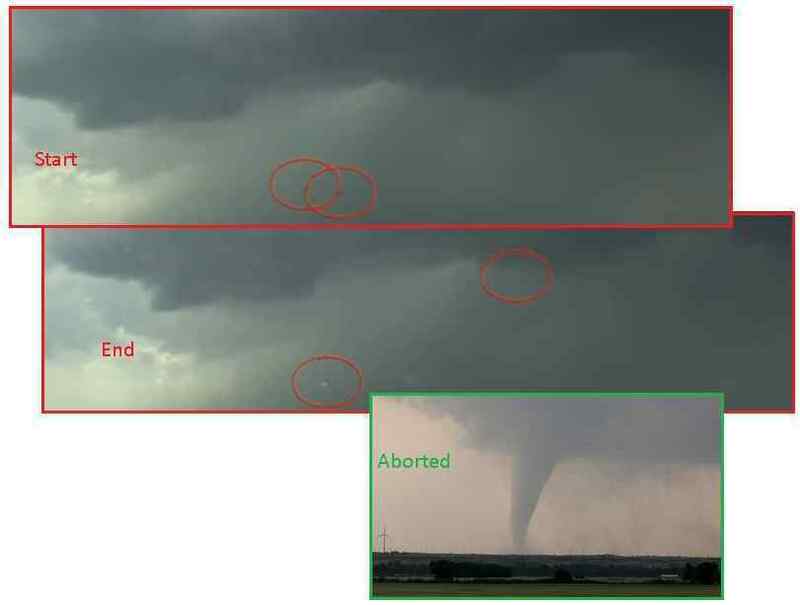 To abort a tornado, one must change the temperature or density of the air, which is what the UFOs are doing here. There are of course more UFOs involved, in the dark clouds, but their activity cannot be seen. Without detailing matters still in play behind the scenes, do the Zetas have any comment on President Trump's dismissal of FBI Director, James Comey? Is there more to this move than restoring "public trust and confidence" in the FBI? [and from another] Does this termination have to do with Comey refuting Trump’s tweet about the FISA courts (which later proved to be correct) OR fact that Susan Rice was behind almost 2,000 National Security unmaskings during the Obama fishing expedition OR because Comey close Hillary’s home brew server investigation last July OR because FBI Deputy McCabe’s wife took almost $1 million from Hillary sources OR because Rosenstein just got confirmed 2 weeks ago? Or all of the above. [and from another] http://www.skynews.com.au/news/top-stories/2017/05/10/trump-dismisses-fbi-director-comey.html US President Donald Trump has abruptly fired FBI Director James Comey, ousting the nation's top law enforcement official in the midst of an investigation into whether Trump's campaign had ties to Russia's election meddling. In a letter to Comey on Tuesday, Trump said the firing was necessary to restore 'public trust and confidence' in the FBI. Trump made no mention of Comey's role in the Clinton investigation. But the president did assert that Comey informed him 'on three separate occasions that I am not under investigation.' The White House said the search for a new FBI director was beginning immediately. The stunning announcement came shortly after the FBI corrected a sentence in Comey's sworn testimony on Capitol Hill last week. [and from another] https://www.infowars.com/breaking-trump-to-comey-youre-fired/ Over the weekend, Comey also called on the Justice Department to refute a Tweet sent by Trump that claimed the Obama administration had ordered a wiretap on Trump Tower. The White House issued a statement requesting committees also look into the possibility the previous administration may have abused its executive authority. Comey was appointed FBI director by President Obama in 2013. [and from another] http://www.dailymail.co.uk/news/article-4489966/Trump-fires-James-Comey-FBI.html Comey, who was appointed in 2013, was dismissed after he provided false testimony to the Senate Judiciary Committee about classified emails from Hillary Clinton aide Huma Abedin found on Anthony Weiner's computer. Attorney General Jeff Sessions told the president it was time for Comey to go after his evidence that Huma Abedin forwarded hundreds or thousands of emails to her husband Anthony Weiner, some of them classified, was wrong. The FBI deputy director, Andrew McCabe, will act as leader until there is a permanent appointment confirmed by the Senate. [and from another] http://www.reuters.com/article/us-usa-trump-comey-idUSKBN1852MV?il=0 U.S. President Donald Trump ignited a political firestorm on Tuesday by firing FBI Director James Comey, who had been leading an investigation into the Trump 2016 presidential campaign's possible collusion with Russia to influence the election outcome. The Republican president said he fired Comey, the top U.S. law enforcement official, over his handling of an election-year email scandal involving then-Democratic presidential nominee Hillary Clinton. The move stunned Washington and raised suspicions among Democrats and others that the White House was trying to blunt the FBI probe involving Russia. Some Democrats compared Trump's move to the "Saturday Night Massacre" of 1973, in which President Richard Nixon fired an independent special prosecutor investigating the Watergate scandal. [and from another] http://nypost.com/2016/10/24/clinton-ally-gave-500k-to-wife-of-fbi-agent-on-email-probe/ Virginia Gov. Terry McAuliffe, a longtime Clinton confidant, helped steer $675,000 to the election campaign of the wife of an FBI official who went on to lead the probe into Hillary Clinton’s use of a private email system. The political action committee of McAuliffe, the Clinton loyalist, gave $467,500 to the state Senate campaign of the wife of Andrew McCabe, who is now deputy director of the FBI. Associate Deputy Director McCabe was promoted to Deputy, where, in that position, he assumed for the first time, an oversight role in the investigation into Secretary Clinton’s emails. As we stated last July, a plea deal for Hillary was in process at that time. Massive money laundering with the Clinton Foundation funds had been uncovered, and was being prosecuted by Dunford’s secret military courts. Since the matter of Dunford being in charge was to be kept secret, the Clinton Foundation prosecution likewise had to remain secret. Hillary was eventually placed under house arrest, still her current status, and prevented from escaping to Qatar. Meanwhile, Comey struggled to relay the facts to the public, as Hillary was still on the ballot, choosing to reopen the email investigation a week before the election due to Weiner’s laptop.